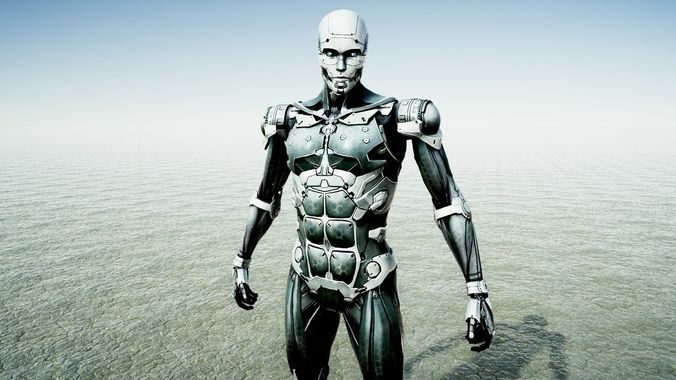 A Humanoid Cyborg. Rigged Animated with MIXAMO and PBR textured . Basic movement animations included . Low poly lightweight model. Usable in mobile apps . This model is for Unity . Using it in other places might break the file. I can't see the model on android devices, why? You mean in android game project? Yes it is unity build project on android. I can't see the animated model, only in Unity. I think the issues are gone now. Please check. When I go to unzip the rar file (for the textures) it says the structure of the archive is damages. The prefab was broken, but the artist fixed very fast, all good now, nice model, good price!